Whilst the weather here in Sydney has been hot and steamy, readers in the northern hemisphere are experiencing lovely, cool autumnal weather and with Thanksgiving (not to mention Christmas – yikes!) 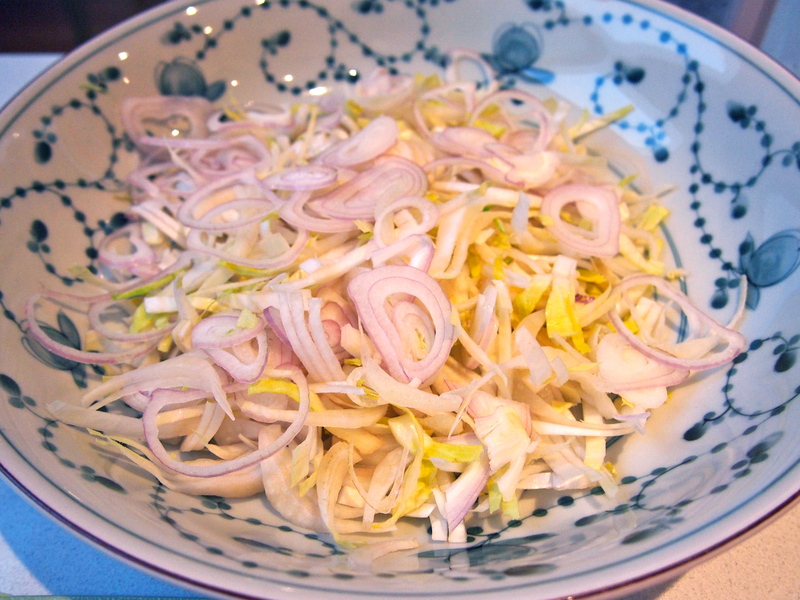 just around the corner this would make a wonderful side dish to a celebration meal. If you’re not a fan of Brussels sprouts, don’t worry – you’ll never even notice you’re eating them! 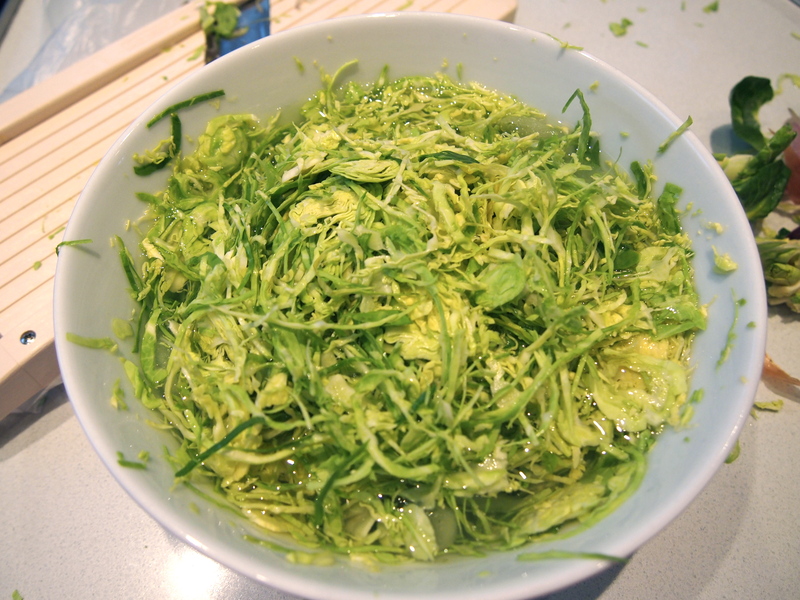 The sprouts are served raw and shaved finely on a mandolin which completely changes their flavour profile and texture. 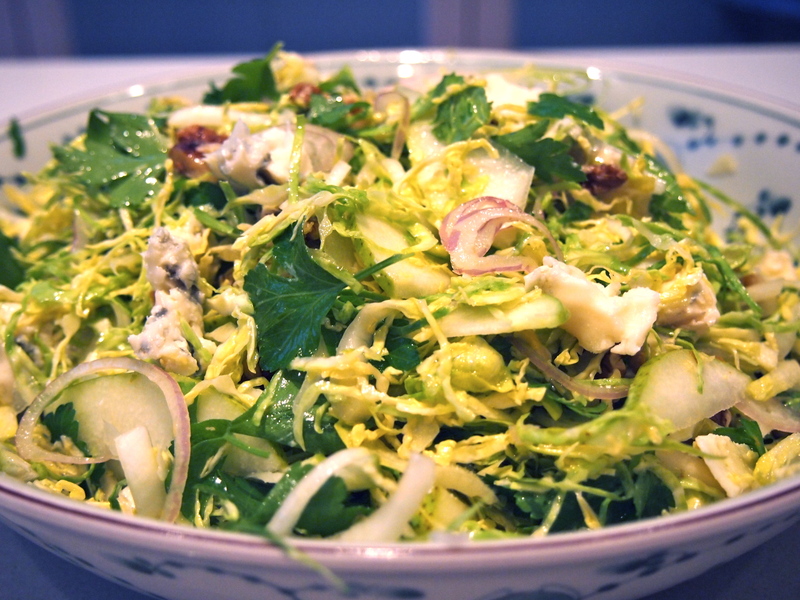 In addition to the sprouts you have walnuts, creamy Gorgonzola, pears and shallot all bought together by a zingy dressing. Don’t just reserve this salad for cooler weather though, it’s light enough despite the cheese to make it suitable as a summer side dish too. Speaking of cheese, the original recipe (from Gourmet Traveller) calls for Gorgonzola cremificato, which is a very soft creamy version of Gorgonzola. You may be able to find it in some delicatessens and if you do you should grab some as it melts into the salad and dressing beautifully. If you can’t, just use Gorgonzola dolce and leave it out of the fridge for a good couple of hours so as it gets nice and runny. I know Brussels sprouts can leave some people cold but served like this I guarantee they’ll be consumed without a word of complaint. Thinly shave the Brussels sprouts on a mandolin into a bowl of iced water and leave for 5 minutes to crisp, then drain and set aside. Heat the oil in a small frypan over medium heat until hot, add walnuts and stir until just golden (2-3 minutes). Pour into a heatproof bowl and set aside to cool, then coarsely chop. 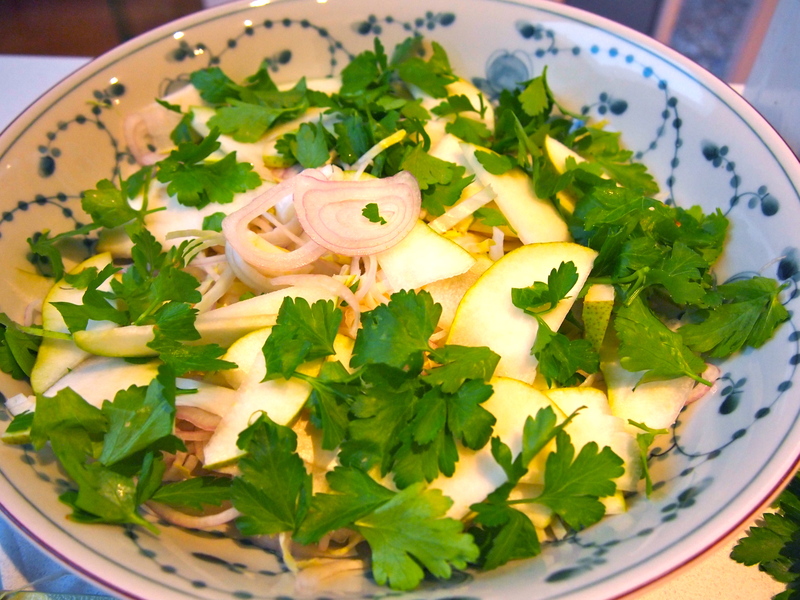 Combine sprouts, witlof, pear, shallot and parsley in a bowl. Add lemon juice and white wine vinegar and season to taste. 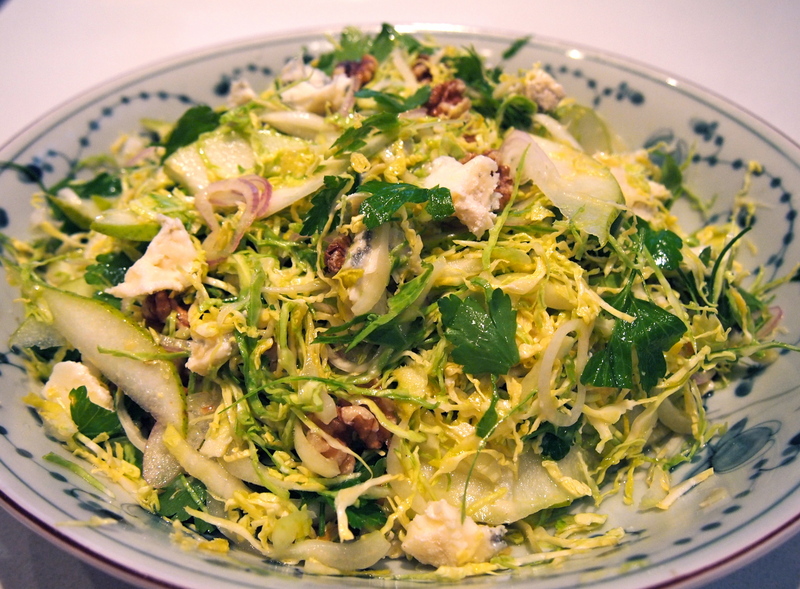 Pour walnuts and oil over salad, add Gorgonzola, toss to combine, then transfer to a platter to serve.